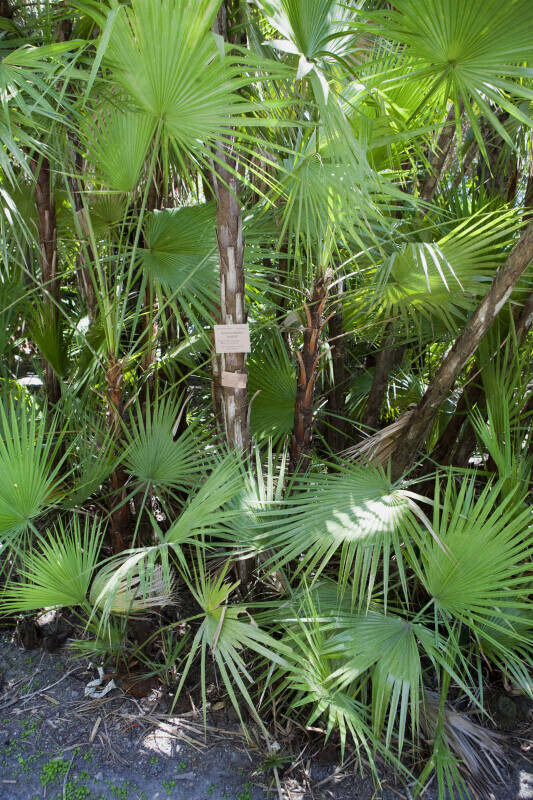 A clumping plant with palmate leaves known as "paurotis palm" (Acoelorrhaphe wrightii) at the Fairchild Tropical Botanic Garden. This tree is also referred to as Everglades palm and silver saw palm. It is native to North America, Central America, and the Caribbean. WARNING: You are about to download a 42.2 MB TIFF!